(Reuters) – World number four Justin Thomas will return to Malaysia for next month’s CIMB Classic seeking a third title at the $7 million PGA Tour tournament, the organisers said on Thursday. The big-hitting American said he was excited to be back in Kuala Lumpur for the ninth edition of the tournament where he won his first PGA Tour title in 2015 before defending the crown the following year. “I look forward to the opportunity to become the first player to win the CIMB Classic three times. 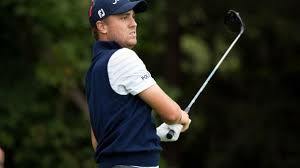 It will be fun to play on the newly renovated West course at TPC Kuala Lumpur,” 25-year-old Thomas said in a statement. Thomas will be joined by defending champion Pat Perez, BMW Championship winner Keegan Bradley, England’s world number 19 Paul Casey and Japan’s five-time PGA Tour winner Hideki Matsuyama. World Golf Hall of Fame members Ernie Els and Davis Love III, who have a combined 119 international victories, will also compete in the Oct. 11-14 event. The CIMB Classic is the sole PGA Tour-sanctioned tournament in Southeast Asia.